Samson's Stage XPD1 Handheld USB Digital Wireless System delivers high definition audio for creating videos on laptops, tablets or smartphones. 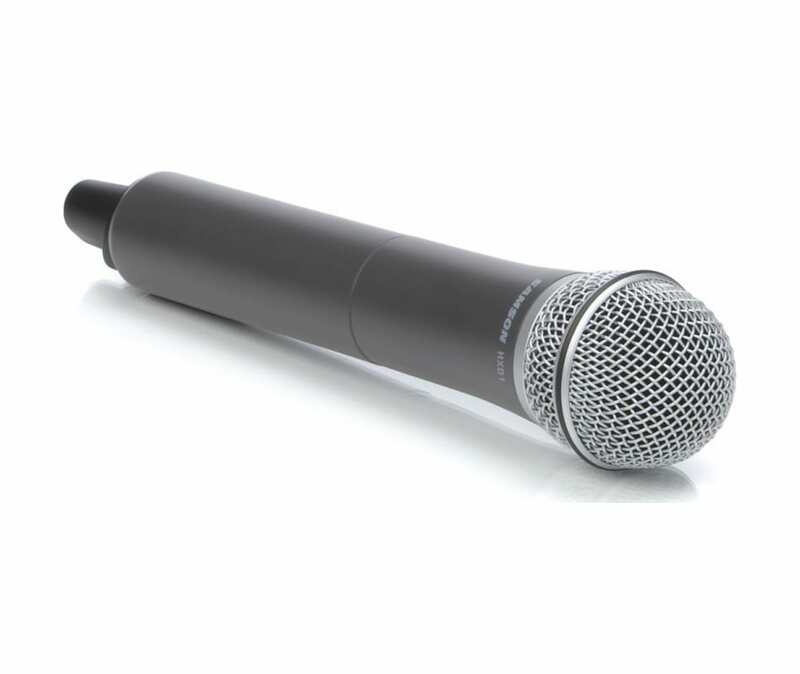 Featuring a USB-powered receiver (not included) and handheld microphone transmitter, the Stage XPD1 Handheld offers convenient 1-touch setup and 100' of reliable wireless operation that's ideal for broadcasting, live streaming, presentations and more. The Stage XPD1 Handheld system is compatible with iPads and iPhones using Apple's Lightning to USB Camera Adapter or Camera Connection Kit (30-pin). This makes the system perfect for upgrading your audio for most smartphone applications. Additionally, the Stage XPD1 Handheld system is ideal for mobile journalism tasks like interviews and newscasts in crowded environments. In addition to digital communication applications, the Stage XPD1 Handheld system can be used with Samson Expedition Series Portable PAs that feature USB Wireless ports (XP106, XP800, XP1000) to create a completely mobile wireless presentation/performance solution. Up to two Stage XPD1 systems can be used simultaneously in the same location to accommodate multiple performers.